Perhaps it's time to tell your employees to stay off Facebook while at work. And maybe it's time to tell your kids to also stop spending so much time posting status updates or clicking video links. It's official, Facebook is the most popular social media network and because of that, it also causes businesses with Facebooking employees to be vulnerable to its viruses, or at least that's what 60% of companies believe. Perhaps that's because more than a third of the businesses were infected with malware, or software that installs malicious programs on computers. For those of you keeping count, that's approximately a 70% rise in 2009, according to Internet security company Sophos. However, companies are allowing their employees to peruse their Facebook account, with about half of the 500 businesses surveyed allowed to use Facebook. That's up from only 13% in 2009. Teens and young adults have also migrated to Facebook, nearly 73% have abandoned blogs or Twitter to use social media networks, according to a Pew Internet and American Life project. They, too, are also vulnerable to Facebook's links to videos. "The truth is that the security team at Facebook works hard to counter threats on their site -- it's just that policing 350 million users can't be an easy job for anyone," said Graham Cluley, senior technology consultant for Sophos in a statement. 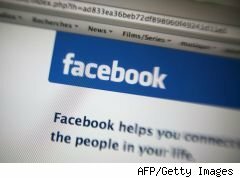 "But there is no doubt that simple changes could make Facebook users safer. For instance, when Facebook rolled out its new recommended privacy settings late last year, it was a backwards step, encouraging many users to share their information on the Internet." While more than half have changed their privacy settings for more privacy, youngsters who may not put much stock in privacy to begin with, may be less likely to change his or her settings. As I mentioned earlier, malware is becoming much harder to avoid. The only way people can stay virus-free is by not clicking on unknown links or responding to solicitations. Chances are any Web page you stumble upon that tells you that you are infected is likely waiting to infect your computer. Be suspicious of e-mails telling you to go to specific Web sites and ignore messages from people you do not know. However, as an employer, I think it may be worth it to ban Facebooking at your workplace. Employees are supposed to be working at their desks and looking at Facebook will never get their invoices or reports done.